The number of Certified Passive House Professionals in Australia is on the rise and the peak representative body for those practitioners is confident this trend will continue. The Australian Passive House Association (APHA) has reported a 60 per cent increase in Certified Professionals year-on-year since 2012, the majority coming from southern states, particularly Victoria, and from designers. But we could soon see a surge in membership from designers in the north, so long as expansion plans and education campaigns from the APHA go accordingly. The APHA recently announced that it will begin running a Passive House Designer Course in Sydney this May, the first time it has been offered outside of its base at Box Hill TAFE in Melbourne. It will be held at Ultimo TAFE over the course of nine days, after which participants will be equipped to take an exam to become a Certified Passive House Designer. For Darren O’Dea, APHA Chairman, the Sydney course is a big step in beginning a conversation about the compatibility of the German-born building performance standard with warmer climates. “While the colder states have been engaged in the subject of Passive House for a few years now, the warmer climates have been noticeably absent from the Australian conversation,” he says. Happy to engage in that conversation is renowned sustainable building designer/builder, Oliver Steele (pictured right) of Steele Associates who is currently constructing Australia’s first Passive House multi-residential building in Sydney's Redfern. ‘The Fern’ development will consist of 11 one-bedroom apartments located near Redfern station. They will be fit with triple-glazed windows and doors, reportedly a first for Sydney, and the super-insulated and super-sealed building envelope that Passive Houses are known for. It has received financial backing without the prerequisite for presales and will go to market upon completion. This is an important factor to highlight because it reflects the heightened level of financial speculation Passive House developers face in Sydney. Steele says that it’s difficult enough to explain the Passive House concept to people within the industry, let alone the public, so going to market at handover, when buyers can experience the inside of a Passive House, is the only logical method at the moment. Steele is the first to admit that Sydney’s climate doesn’t demand the need for the high-performing envelopes and glazing of Passive House, “we’re not going to die in winter of cold, and you’re not going to die in summer of heat,” he says. But he does make the point that Passive House can be an effective solution for a number of common scenarios in Sydney, particularly in the city, where achieving optimal passive solar design becomes difficult, and where occupants are likely to resort to mechanical space-conditioning to achieve a desired internal temperature. The first is your typical city block, not unlike his at Redfern, which is boxed in by its neighbours and has unfavourable orientation for optimal solar passive design – think an east/west block that looks at a massive brick wall to the north. In this scenario, according to Steele, passive solar design becomes somewhat hamstrung and can’t provide the level of protection a building needs to keep internal temperatures within the range desired by occupants. What happens then, in reality and despite the best intentions of architects, is that its occupants battle the sun in summer with air-conditioners and use artificial heating in winter. Passive House on the other hand, can deal with this scenario because its ventilation technology and high-performing envelope means solar penetration levels have little impact on internal temperatures – “with Passive House winter sun becomes a nice-to-have but not a must-have”. The second scenario highlighted by Steele is a very broad one and is more about addressing occupant behaviour trends and reducing the resource-fuelled energy-use of buildings in the city. Passive House, according to Steele, is in some ways just an extension of the principles of passive solar design taught by architecture faculties around the country in that it still favours optimal solar penetration and minimal reliance on mechanical systems for temperature control. But it goes further by putting systems in place that ensure a building will stay within desired temperature brackets year-round and use a certain amount of energy no matter who the occupant is. 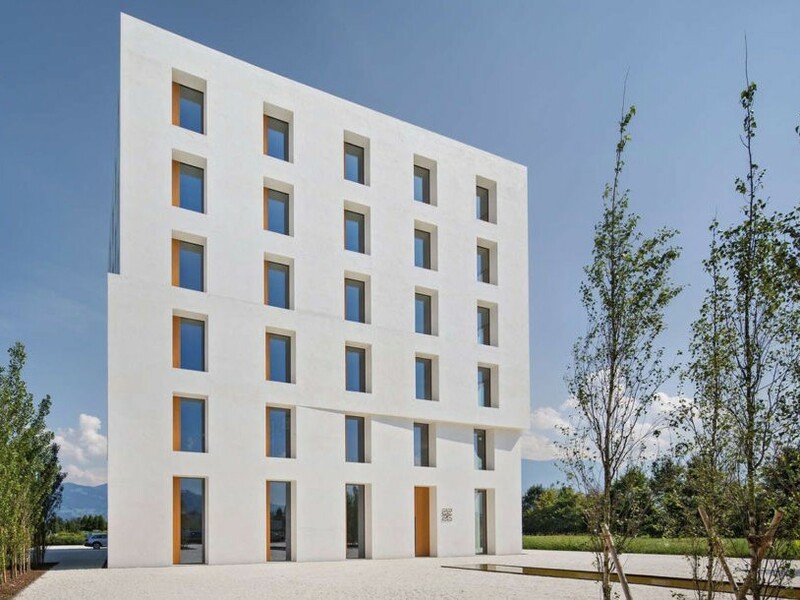 In this sense, Passive House futureproofs a building against occupants who would otherwise use mechanical systems to cool or heat a building if temperatures dipped below a certain level. “Just look at the way people live in Sydney now and what their expectations are in terms of comfort zones inside a building,” says Steele. O’Dea notes that the significant growth in Passive House Professionals is due to a number of scenarios and individual endeavours, like Steele’s up in Sydney, but says that an overarching explanation may be that our buildings simply don’t stack up. “Professionals, particularly in the engineering community are generally united that National Construction Code compliance driven outcomes fail to focus on occupant comfort and energy efficiency,” he says. “The industry is very conservative with significant reason as it’s high-risk with high financial expenditure,” he says. “So, we need to get out there and show them that it can work." Steele plans to do just that with The Fern, which is still in its early stages of construction but is apparently going very well. The Passive House Designer Course begins on 28 May at Ultimo TAFE in Sydney.